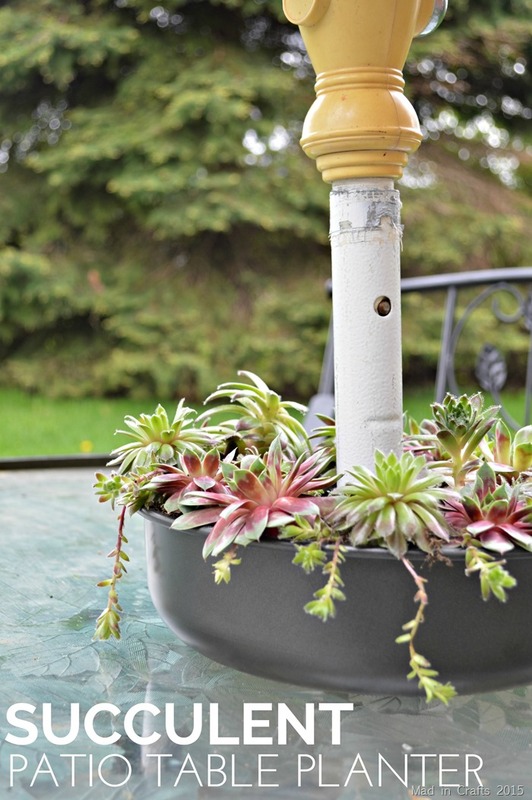 I’ve still managed to keep from killing the succulents that I planted last summer. I know! I’m just as surprised as you are. Since things are going to so well, I naturally decided to press my luck. 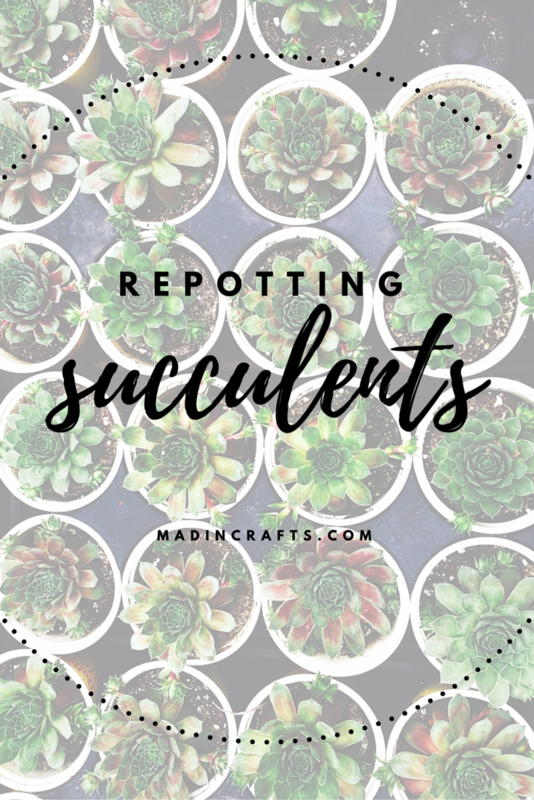 Succulents are supposed to very easy to propagate through cuttings, and Spring is the time to start those new plants growing. 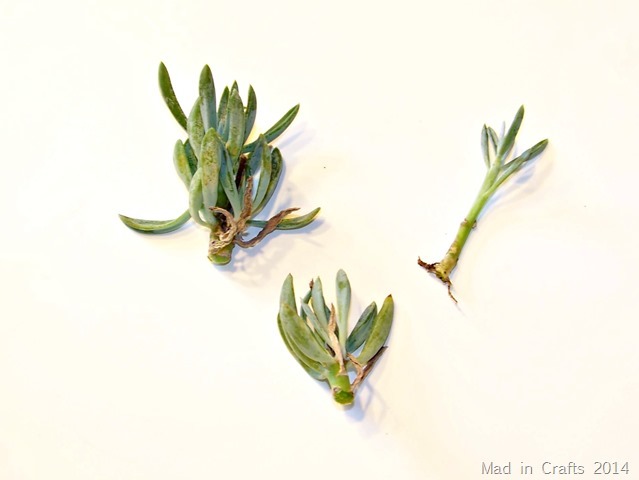 I chose to trim a few pieces off my blue chalk fingers succulent to see if I could turn them into a plant. I did a little research and found that it was to cut the stems about 3/4” from the soil line. I chopped off these three candidates and removed the wilted leaves. 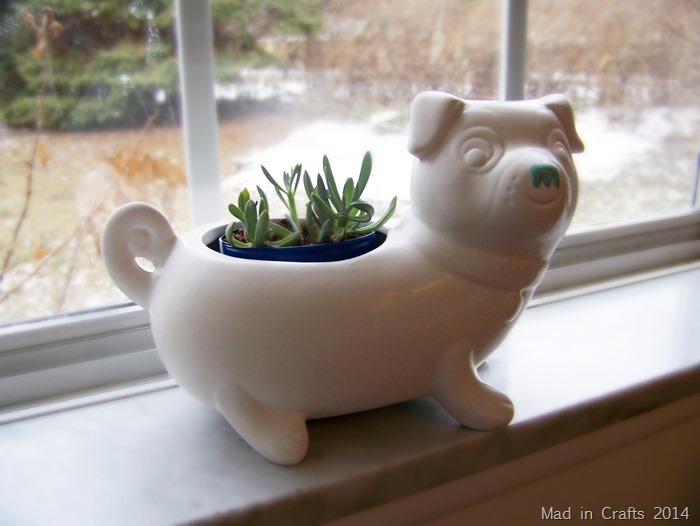 I added some soil to a Pringles can that I cut to fit in this super cute bulldog planter I found at Goodwill. I made sure to poke a few holes in the bottom of the plastic chips can so that excess water had a way to drain out. The one thing that kills succulents is overwatering. All that is needed to “plant” the succulent cuttings is to place the base of the cutting in the soil and leave them alone for a few days. I went back three days later and pulled each cutting up EVER SO GENTLY. 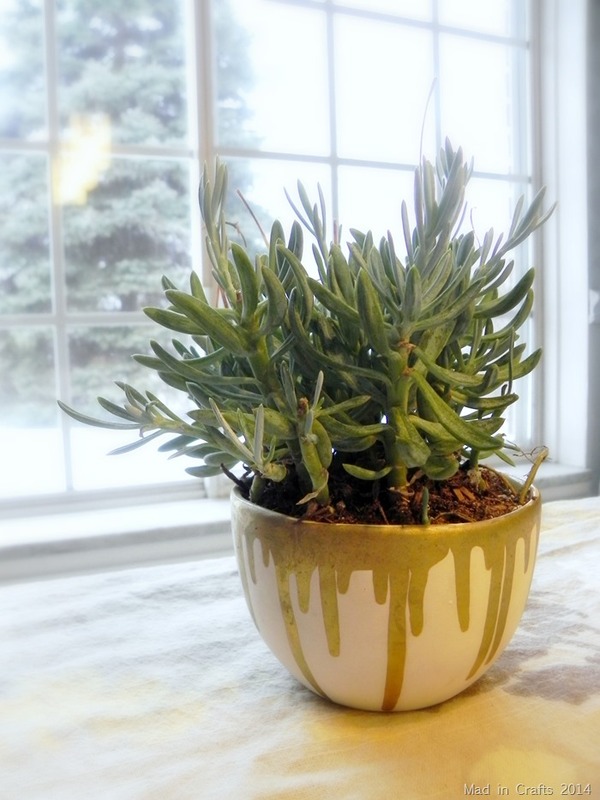 One of the three cuttings gave me resistance, which meant that cutting had begun rooting. I gave the cuttings a bit more water mixed with succulent food and gave them another week to spread out their roots. 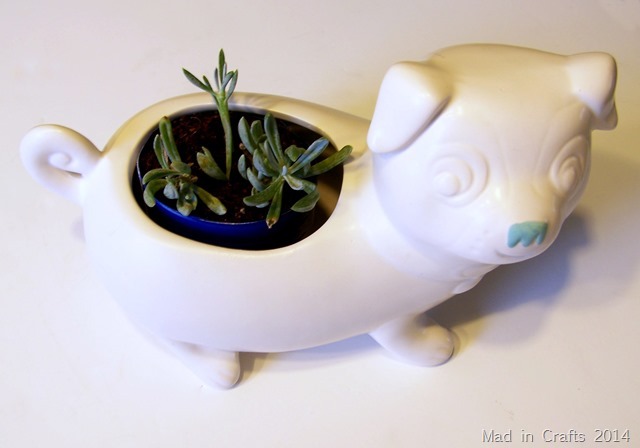 If this experiment proves to be a success, I am going to try propagating my other succulents into fun new planters!